If you are interested in nutrition and the role it can play in human development, this broad-based degree, accredited by the Association for Nutrition (AfN), is ideal. You will have the opportunity to specialise in areas of public health as well as in areas of applied and clinical nutrition, such as the role of nutrition in health and disease. You can gain a career head start by doing a year's industrial placement and/or going on an international exchange. 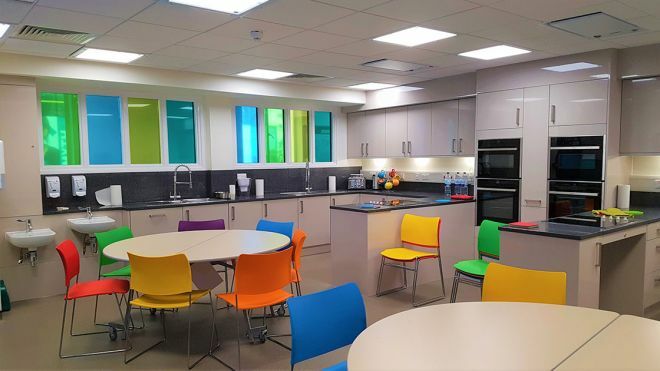 Our modern nutrition kitchen is a dedicated, flexible and inviting teaching space which we use for food science practicals, research projects and student nutrition society events. It has been designed to the latest specifications and is used for small group teaching (eg. assignment and revision tutorials) and personal tutor meetings. Experience it for yourself via our virtual tour. Watch nutrition student Michael Garcia talk about his experience studying at Kingston University whilst doing his placement at St. George's Hospital with The Marfan Trust. Accreditation by the Association of Nutrition (AfN) until 2022 entry means graduates can apply to join the UK Voluntary Register of Nutritionists (UKVRN) as a Registered Associate Nutritionist (ANutr) without having to prove competence (see more at associationfornutrition.org). 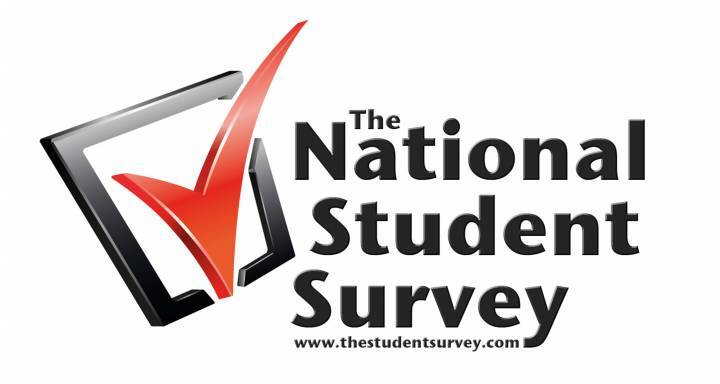 This course achieved very high levels of student satisfaction (100 per cent) in the National Student Survey (NSS) in 2015, 2016 and 2017, ranking it top in the country then for student satisfaction. This has resulted in impressive rankings for teaching quality and student experience under ‘Food Science' programmes in The Times/Sunday Times Good University Guide. Year 1 provides the basics for studying nutrition – biochemistry, physiology, human nutrition and basic food science, plus general scientific and laboratory skills. Year 2 examines more-advanced aspects of human biology, including biochemistry, pharmacology, immunology and microbiology. You will consider nutrition at different stages of life and in assessment of health, learning to obtain and interpret food and nutrient intake data as well as translating scientific research. You will develop skills to prepare for Year 3's project dissertation. Year 3 explores more specialised and applied aspects, such as nutrition's role in health and disease and public health nutrition (both within a developed and developing country context). Options include the modules Medical Microbiology and Immunology, Clinical Chemistry and Haematology, and Health and Exercise Physiology. Your independent nutrition research project will be in a subject of interest (eg. public health and clinical nutrition, food science and the role of specific compounds in food). This module is core for students studying BSc (Hons) Nutrition (Human Nutrition)*/BSc (Hons) Nutrition and BSc (Hons) Nutrition (Exercise and Health)*/BSc (Hons) Exercise, Nutrition and Health and introduces students to the study and practice of human nutrition. The module focuses primarily on macronutrients and micronutrients but will also include water and alcohol. Other topics introduced as part of this module include the basic concepts that underpin energy and nitrogen balance, the derivation and application of dietary reference values, the study of food composition and food science. Students will also be introduced to the social functions of food and nutrition in society as well as basic applications of food science in everyday life. This module is a pre-requisite for Food and Nutrition 2: Applied Nutrition (LS5007). This module is core for students studying BSc (Hons) Nutrition (Human Nutrition)*/BSc (Hons) Nutrition and BSc (Hons) Nutrition (Exercise and Health)*/BSc (Hons) Exercise, Nutrition and Health. The module applies basic nutrition delivered at Level 4 (Food and Nutrition 1: An Introduction - LS4006) to introduce students to dietary assessment methodology and how they are used depending on nutrients, groups and populations, and the role of nutrition across the lifespan and is a pre-requisite for Food and Nutrition 3: Public Health Nutrition (LS6009), which is delivered at Level 6. This module is core for students studying BSc (Hons) Nutrition (Human Nutrition)*/BSc (Hons) Nutrition and BSc (Hons) Nutrition (Exercise and Health)*/BSc (Hons) Exercise, Nutrition and Health. This module will develop students' understanding of the concepts, theories and practice of Health Promotion, focusing on diet & physical activity in developing and developed countries. It will examine theories of motivation, behaviour and strategies of health promotion. The role, influence and impact of policies on population and client groups will be examined. This module will also provide students with an understanding of nutritional issues in the developing world. This module is a core module for students studying BSc (Hons) Nutrition (Human Nutrition)*/BSc (Hons) Nutrition and can be taken as an option module by students studying Biology Sciences (Human Biology) and BSc (Hons) Nutrition (Exercise and Health)*/BSc (Hons) Exercise, Nutrition and Health provided you have one of the pre-requisites listed above. This module introduces you to areas that have a significant impact on modern day food and nutrition including food legislation and safety, novel and functional foods, nutraceuticals and the interaction between nutrition and pharmacology. Furthermore, it provides in-depth material on emerging and re-emerging topics such as malnutrition and food allergy as well as issues concerning nutrition and disease and the use of advanced body composition techniques and biochemical and biological analysis. This module is a core module for students studying BSc (Hons) Nutrition (Human Nutrition)*/BSc (Hons) Nutrition and can be taken as an option module by students studying BSc (Hons) Nutrition (Exercise and Health)*/BSc (Hons) Exercise, Nutrition and Health and is a capstone project module designed to enable students demonstrate the academic and transferable skills they have developed throughout their respective programmes and to show evidence of synthesis based on these skills and the knowledge, understanding, application and integration of nutrition gained from taught modules. This is a core requirement for Biomedical Science and is an option for those on other Life Science degree courses (Biological Sciences (Medical Biology route), Medical Biochemistry and Nutrition). The module builds on and applies the learning achieved in the level 5 Infection and Immunity (LS5008) module which is a prerequisite. The module initially explores in detail diseases of: overactive immunity (eg. autoimmune disease and hypersensitivity); and of immune deficiency (eg. AIDS). It also explores other key areas of clinical immunology such as cancer immunology, monoclonal antibodies and laboratory diagnostics. The module then explores infectious diseases and the principles and practise of the medical microbiology. Selected infectious diseases and their laboratory diagnosis are studied in depth using an organ system approach; for example, infections of the respiratory tract, gastrointestinal tract, and urinary tract.